No plumbing, simply screws in between shower head and the shower hose or the shower arm. Will regulate the water flow to 7.6 Litres per minute and will reduce the amount of water used in the shower. Saving on both water and energy & will reduce the costs of your utility bills. The unique flow regulator technology keeps the flow rate constant, independent from the line pressure (e.g. at 7.6 liters a minute when taking a shower). Consequently, the use of flow regulators not only saves a lot of money, but also guarantees an even water distribution. Multiple installations To meet code and standard requirements flow regulators are inserted into showerheads and shower hand spray models. In commercial and institutional installations, flow regulators improve the distribution of water and help save water and energy & saving you money. Gives a uniform distribution of water throughout property. Saves electricity due to reducing hot water use & heating water costs. Return on your investment in under 2 months. By installing a shower flow regulator will reduce your the amount of water you use while taking a shower & this will reduce your energy costs. Shower water savers help save water & energy – without loss of comfort and very easy to install. 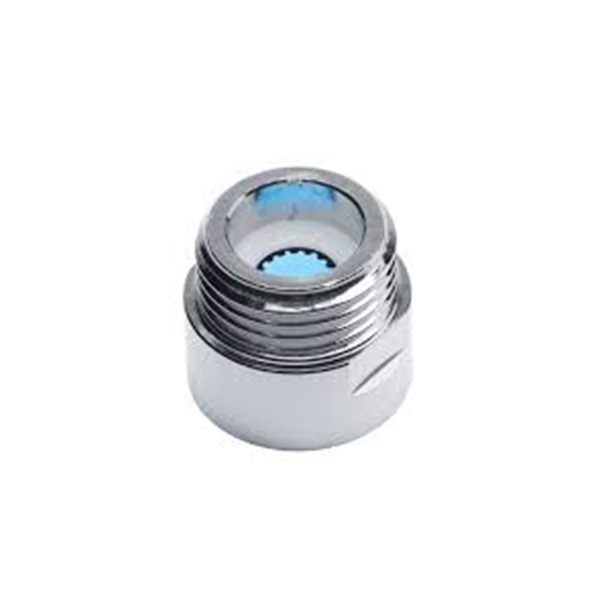 Simply insert the 1/2″ screw connection between faucet and shower hose and save water & energy.